There are tons of baseball bats that are released every year. There are some models that manage to stay in the best list for a long period of time while there are also some that get removed from the list easily because of the new baseball bats available. You can expect that the list of baseball bats will change from season to season. What are the best baseball bats right now? The baseball bat that you are going to pick out will make or break your game. If you choose the wrong bat, you can expect that you will not do as well as you wish you would. The length of the bat is based on your reach. You need to have a bat long enough to hit balls from the other side of the plate. If the bat is too long however, this can slow you down and make you less likely to hit balls. To choose the right length, you may have to swing different bats from time to time. Your choice for the proper weight of the bat will highly depend on your current size. If you are considered to be on the heavy side because you are big and strong, having a heavy bat is the best choice. If you are light on your feet and quick, you need a more lightweight bat. To test if the weight of the bat is right for you, you can carry the bat and see if you can control it easily. Depending on the bat that you are going to purchase, the size of the sweet spot will make a huge difference. Those that are for beginners are usually bigger but there are also some professional bats that have big sweet spots. A lot of people over the age of 12 use a barrel of 2 1/4 “. Yet, there are also some that may require a ﻿﻿barrel diameter that is a bit larg﻿﻿er. Get to know the proper requirements before you make a choice. This may not be the first factor that you will consider when searching for the right bat but you have to admit that this works so well. Do you realize that your comfort will make a huge difference with how well you are going to play? If you are not comfortable holding your bat, you will not be able to hit with it. 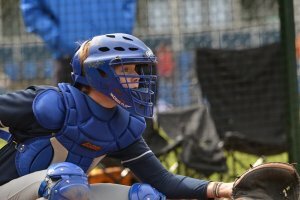 The better the equipment that you have, the better you are going to play. 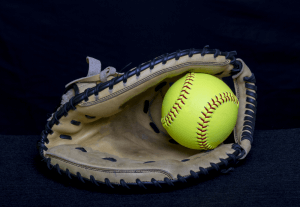 It is evident that there are a lot of things that you should consider when purchasing the right baseball bat but one of the most important things of all is the bat’s material. What is the baseball bat made out of? The materials used to make the bat will affect all of the factors that are mentioned above. Composite bats are made out of materials that are similar to carbon fiber. This is the bat that you may want if you want a bat with weight that is easier to manage. A composite bat is most likely to have a balanced weight or may have heavier weight at the end of the barrel. Alloy bats on the other hand are made out of metal, aluminum or a mixture of both. This is the first type of bat that has become popular so those who are older may be more familiar with this. They are also less expensive than the typical composite bat which makes it the choice of those who are on a budget. This is also the choice of those who would like a stronger or more reliable bat because it will only have a dent when you hit too hard. Of course, you may still break it eventually with continuous abuse. • Ash – This has a grain structure which means that it will have a lesser tendency to break especially when compared to other types of wood. You can tell if a baseball bat made out of ash is a quality bat depending on the grain lines. • Maple – The sound of the baseball against maple wood cannot be denied. The sound is just great and it helps that maple has a very hard surface. This explains why this is the choice of most pros. • Birch – If you want a baseball bat that is hard and flexible then this is the right wood to choose. This is a bit light so if you are used to heavier bats, you may want to consider other wood types. Given the different materials used to make baseball bats, which one are you most interested in? This natural baseball bat that is made out of ash may be the best bat for you especially if you would like to have a durable bat that is also flexible at the same time. It comes with a large sweet spot that will allow you to hit the ball better whenever you need to. This is also more lightweight as compared to other wooden bats. 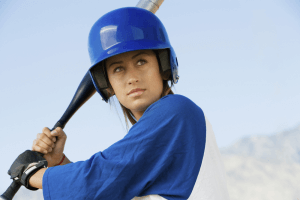 Perfect for Batting Practice - If you would like to have the right bat for practicing, this may be the right bat for you. The feel of a wooden bat is still different as compared to others. Classic – From the design it to the overall feel of the bat, you can tell that this is a bat that will last for a long time. Can Be Good for Catching Burglars as Well – If in case there are some intruders in your house, you know that this bat can do the job. Of course, it can present a decent swing as well when you are using it. It May Shatter – Depending on how you use this, there is a big possibility that it may shatter when you hit this. This is known to be the right bat that is meant for those who would like something versatile. This is a balanced bat that has a traditional barrel. This can help slow down your hands if you are going to do slow hitting with the use of your baseball bat. Solid Feel – You will not expect that this bat is going to break down anytime soon. Bone Rubbed – You can expect that the intensity of the bat’s wood is great. Swing Weight – Its swing weight makes it very easy to use whether you are a beginner or not. It does not feel lightweight. Rather, it feels balanced. Not for Everyone – Not everyone will get to appreciate the feel of this bat and there are also some who have reported that this does not have any pop. The composite frame of this baseball bat allows it to be more balanced and lightweight as compared to the typical alloy bat. This bat is end loaded which may be ideal for you especially if you need a bit more help with your present swing. The unusual shape of this bat sets it apart from all other similar bats. If you like how this baseball bat feels, you may be able to work with it better. 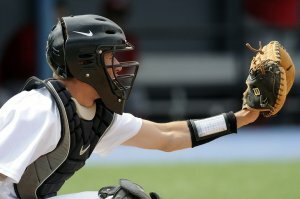 Ideal for Practices – Do you want to improve how well you play baseball? You can make use of this bat for practicing until you manage to improve your skills. Very Lightweight – The fact that this is lightweight makes it easy to use by beginners. Easy and Comfortable – It may take some time getting used to because of the unusual shape but once you know how to use it, it will not be a problem anymore. Not for League Games – The unusual shape and size of this bat does not make it usable for league games. Like mentioned earlier, it is geared more for practicing. 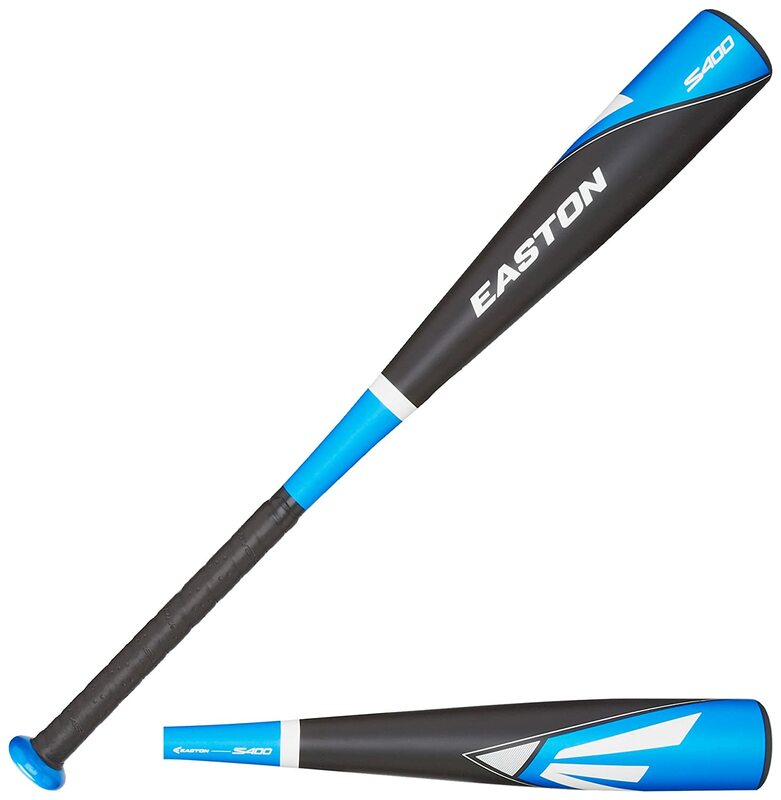 The design of this bat is made specifically for speed with a price that is easy to afford. By using this bat, you will notice that your whole performance will change. It can help improve your swing speed and it can also improve your overall power while you are using the bat. The cushioned handle can make it more comfortable when you are holding it in your hands. 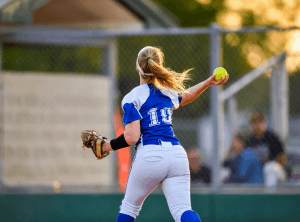 Applicable for Speed Hitters – Is your strength on speed hitting? Choosing this bat will make a huge difference on your performance. Thin Handle – The design of this bat is made specifically for those who are playing in the junior league. The thin handle can make it easier to hold in the palm of kids’ hands but adults may choose to use this as well. 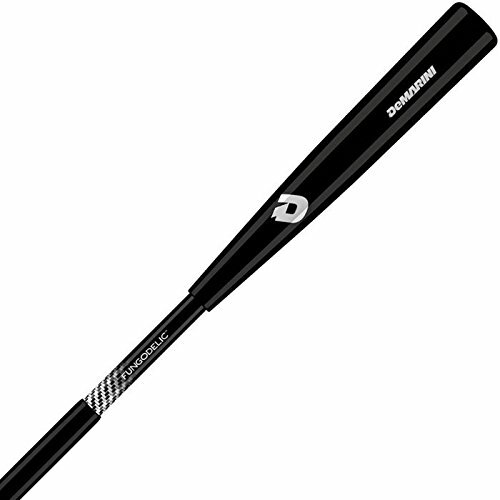 7046 Aircraft Aluminum Alloy – This is known to be one of the most durable materials used for the construction of bats so you can expect that this is a quality bat that will last a long time. Sweet Spot is small – The sweet spot is amazing once you find it but if you have not found it yet, you may have to look for it for a long time. The three piece composite bat is well appreciated by a lot of baseball players not only because it is durable but because the sweet spot is larger especially when compared to other baseball bats. You know that the vibration that you are going to feel when you use this bat is not as much as compared to the others. Huge Difference in Bat Speed – You will not have any issues with using this if you are concerned about speed because its speed will allow you to hit the ball better. Large Sweet Spot – The sweet spot is large enough for you to position so that you can hit the ball better. Easy to Break In – Using this a few times for practicing can break it in easily. Not for Kids Younger than 6 – If the user is 6 years old and younger, this may prove to be too heavy. It would depend on the strength of kids but most kids under 6 may not be able to carry this bat properly. 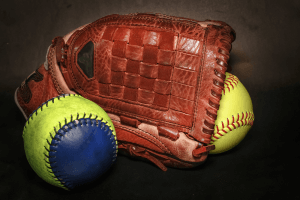 All of the different baseball bats are great for you but if you are going to choose the best one, you should choose Louisville Slugger WB180BB – NA 180 Natural Baseball Bat. Metal baseball bats may be highly popular now but there is nothing like wooden baseball bats to be used when you play. 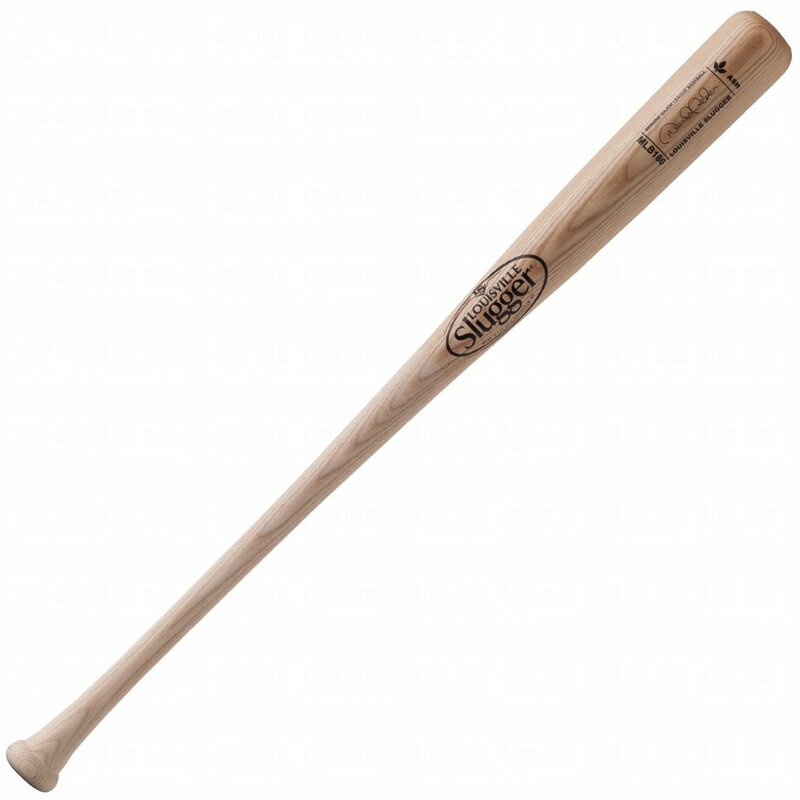 The other baseball bats are durable also but since this baseball bat is made out of strong ash wood, you can expect that it can be used well. The design is also highly appealing to the eye and it can be used for different leagues. The bat is a bit on the heavy side and may appeal more to those who prefer heavier bats but overall, you can improve your gameplay with the use of this bat. Do you agree with the best baseball bat out of all the others that are a part of this list? Feel free to share your comments. You may also suggest other bats which you think should be a part of the list.